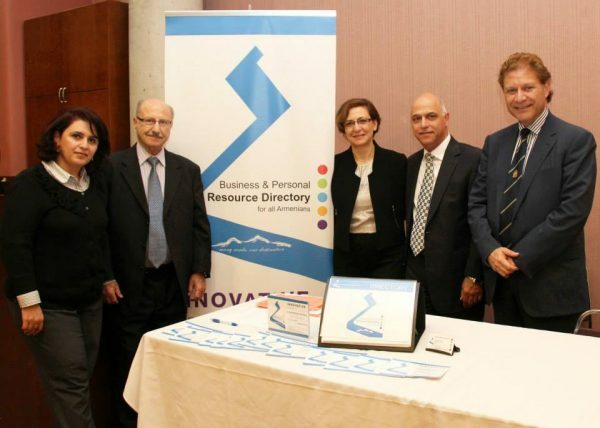 Armenian Resource Directory’s Great Achievement! The Armenian Resource Directory of Holy Trinity Armenian Church is the proud winner of OPIA awards! One of the important publications of the Holy Trinity Armenian Church in the past decades has been the Telephone Directory. This book has been part of Armenian households of this city all these years, connecting members of the community, businesses, religious, educational and cultural organizations across the greater Toronto area. In 2015, the committee expanded that vision to serving Armenians all across Ontario, with the directory being distributed among communities in Ottawa, Cambridge, St. Catherine’s, and the Greater Toronto Area. The new format was renamed to “The Armenian Resource Directory”. It is a colour coded, easy to navigate, high quality directory. With the arrival of large number of newcomer Armenian families in recent years, settling in Ontario, we are happy to witness how this book has played a role in helping them connect with Armenian organizations and businesses across this province, leading to new connections, friends, and employment opportunities. The Holy Trinity Armenian Church’s Parish Priest, Rev. Aerchpriest Fr. 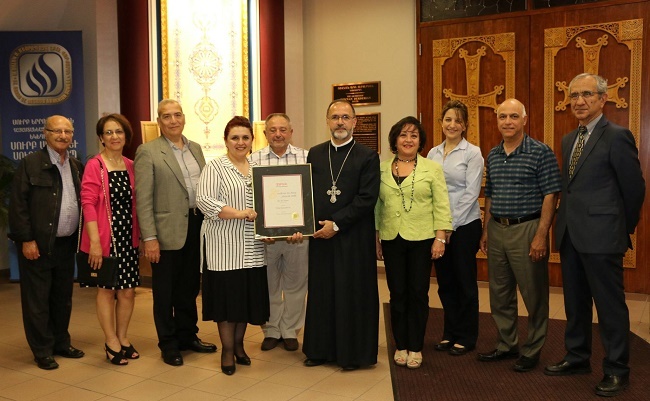 Zareh Zargarian and the Parish Council invited the ARD committee’s hardworking members to a gathering that took place on June 21, 2016. Fr. Zargarian expressed his joy and appreciation to the committee and everyone who assisted the project from the beginning until the publication and winning the OPIA award. Mrs. Anabel Sharoyan, the Chair of ARD committee appreciated Fr. Zargarian and the Parish Council for the support and trusting them with this responsibility. She appreciated the hard work of ARD committee members: Levon Kaltakdjian, Raffi Kouyoumdjian, Vasken Deukmedjian and Roubina Zargarian, and special thanks to Mr. Armen Yeganian and the Embassy of Republic of Armenia to Ottawa, Hagop Kouyoumdjian, Raffi Simonian, Miss. Hasmig Kurdian and Mr. Migirdic Migirdiciyan for their assistance and input. The Ontario Printing & Imaging Association recognized the Armenian Resource Directory 2015 at “Excellence In Print Awards 2016” and presented it to Colour Innovations Inc.